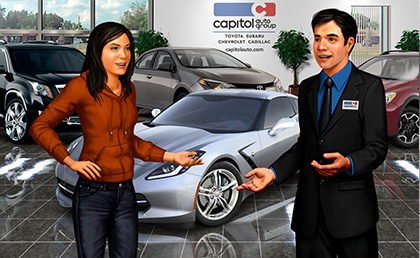 Capitol Auto Group is a multi-brand family of auto dealerships that has been servicing the Salem, Oregon area for over 90 years. They have invested in Logi-Serve to help improve their business performance by more accurately predicting which job candidates have the innate soft skills to provide exemplary customer service and sales excellence. Capitol Auto Group, representing Toyota, Chevrolet, Cadillac and Subaru, chose Logi-Serve after months of research, based on its track record of success and its application of best-in-class science for hiring within the retail auto industry. Logi-Serve’s assessment measures nine sales- and service-related competencies to enable it to predict sales and service excellence. Logi-Serve is rapidly distinguishing itself as the market’s leading assessment innovator for companies seeking to predict customer service ability, enhance customer experiences, increase sales and build a culture of sales and service excellence. Logi-Serve offers state-of-the-art science and technology that has been tailored specifically for the automotive retailer to improve sales, service, customer experience interactions and build their dealership Brand. Through innovations in science and assessment technology Logi-Serve offers the market’s most direct link to predicting and shaping business outcomes.